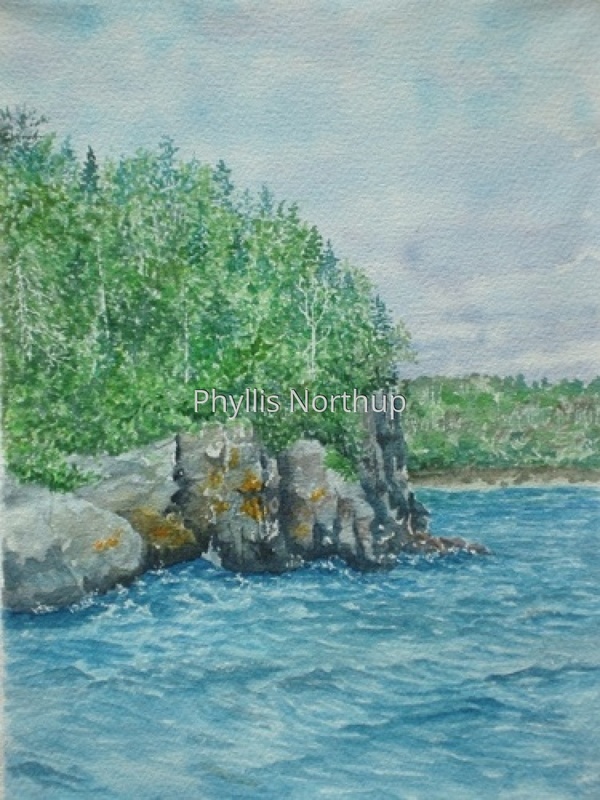 This is classic Lake Superior shoreline, clear blue and turquoise water, enchanting rocks with bright orange lichen topped off with the rich greens of the northwoods. You can visit Rock Harbor in Isle Royale National Park. Original watercolor matted and framed to 12"x16".